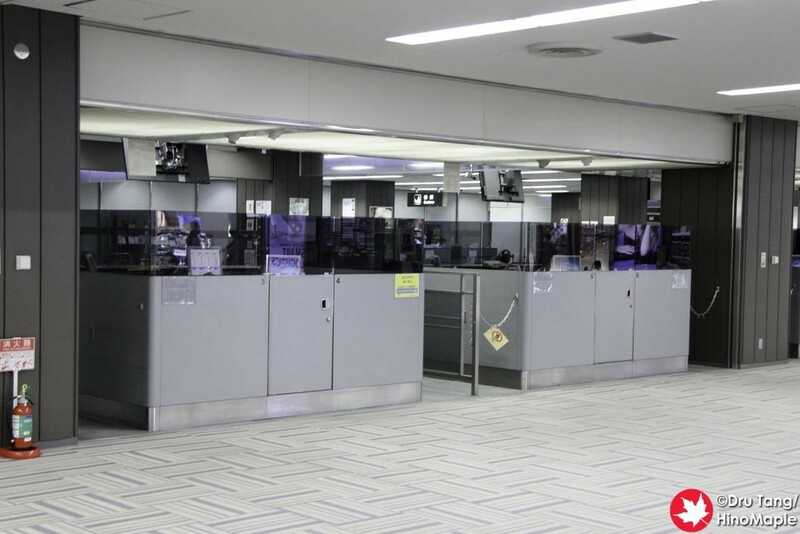 A several years ago Japan created automated immigration gates. 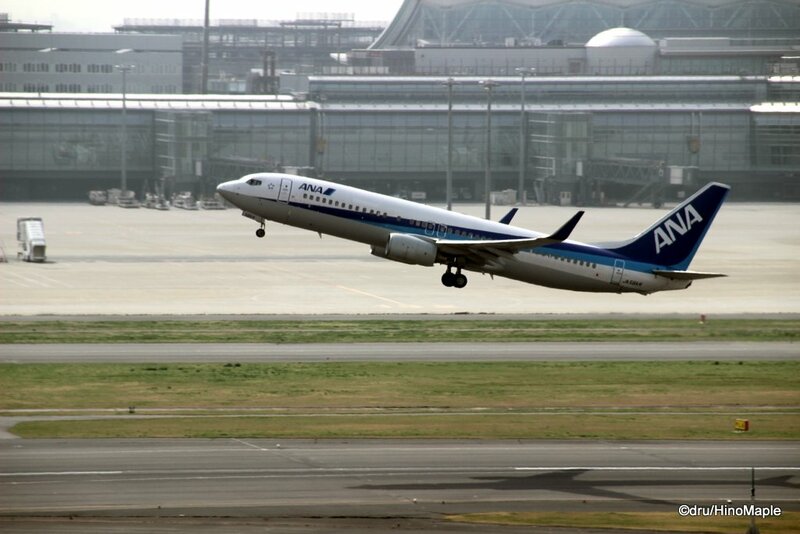 It is a fast track way to get in and out of Japan relatively painlessly. For frequent travellers, this very useful and can help save a lot of time, although sometimes it takes more time to use the gates than to see an officer. For me, as a non-permanent resident, it helped me save a lot of time when I returned to Japan recently. The process is not exactly clear but it is pretty simple. You just need to understand which buttons to push. 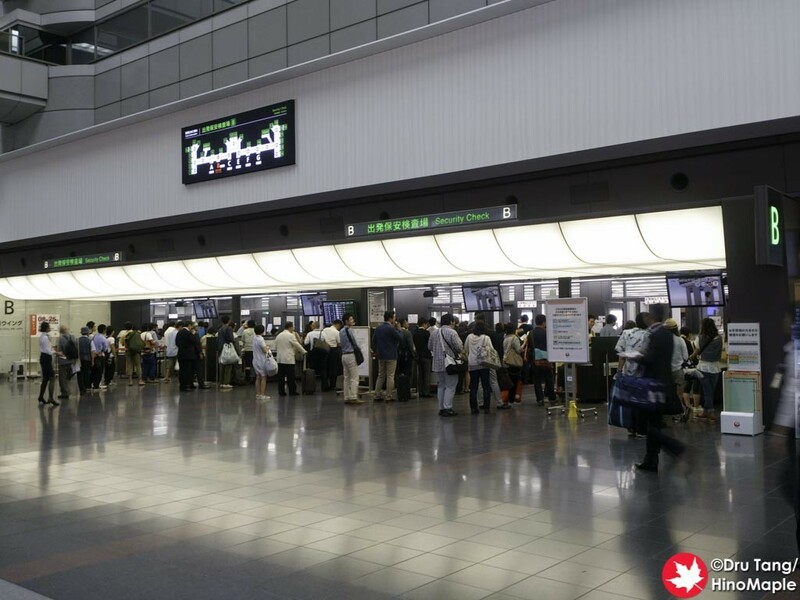 At the moment, the use of the automated immigration gates is restricted to Japanese nationals and residents of Japan only. I have heard that they are planning to expand the service to visitors, specifically those who make frequent business trips to Japan, but I have yet to get confirmation on when, or even if, that will happen. 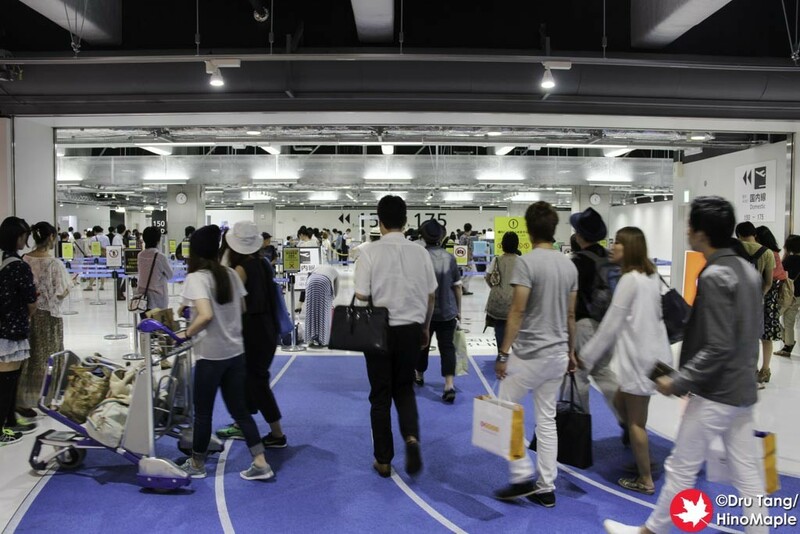 You must also register prior to departing Japan in order to use the gates. 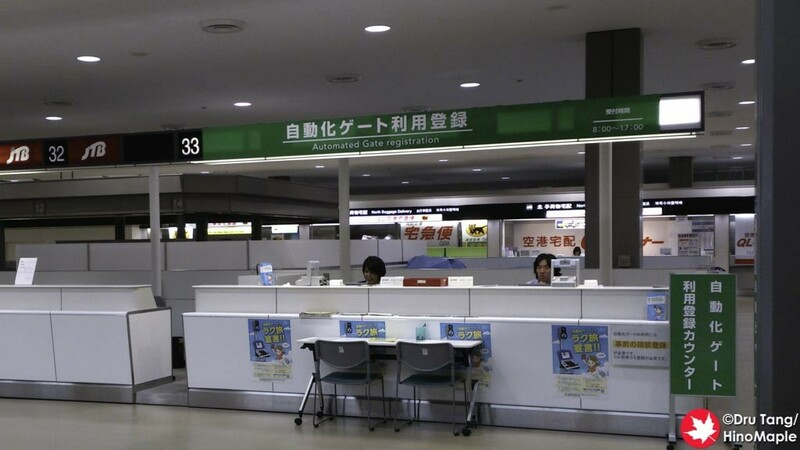 You can do so on the same day; in Terminal 2, there is a special desk at the end of the check-in area near island “A”. When departing Japan, usually you have to go through “passport control”. It is a row of counters where everyone lines up together to get their passport scanned. If you are visiting, it is to say that you are leaving and your passport is no longer registered as being in Japan. If you are a resident, they check your visa status and let you leave for a short time or take your residence card if you choose not to return. 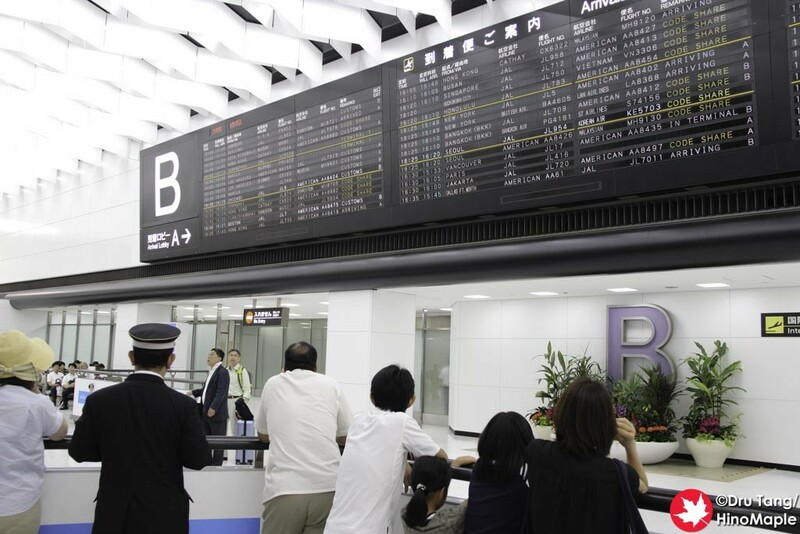 For Japanese nationals, it is a quick identity check and possibly a good way to track who is leaving the country and for how long. I’m sure this is also a very good way to know how many visitors are visiting Japan. For people using the automated immigration gates, there are a few gates off to the side and usually there is no line. When I departed Japan, there was no line anywhere, but I needed to use the gate anyways because I don’t know what would happen if I chose to use a regular person and then return to use the gate. It may not have let me back, but I believe it wouldn’t be a problem. The instructions are pretty simple, and while the Ministry of Justice has instructions on what to do, they weren’t exactly clear for me. The steps are pretty simple in that you just scan a special barcode that is in your passport, scan your passport ID page, and then make a selection of “Special Re-entry” or “Re-entry”. Basically, almost everyone will use “Special Re-entry” as that allows you to leave for up to 1 year. You need a “Re-entry” stamp if you plan to leave longer for 1 year, and that must be applied via the Immigration Bureau. I had a little confusion over this prior to departure but figured it out in the end. Once the scans are done, you do a finger print scan and get your photo taken. It’s pretty standard if you are familiar with how immigration works in Japan. Once that is done, you proceed to the immigration official. For Japanese nationals, they just exit quickly, but for me, I have to hand over my passport and residence card and they process my documents manually before I got a stamp. It was a little funny as they said that they wouldn’t be stamping my passport, but they did. The re-entry procedure is actually almost entirely the same, but I had a little trouble with it. When returning from Canada, I arrived at Narita around 4:30pm and immigration was a mad house. They closed half of the immigration halls so everyone had to go all the way to the same side. I saw the line for regular tourists and it was LONG. For foreign residents, it was shorter, but knowing how the immigration handlers work, I was willing to bet a good handful of people in the resident’s line were not residents. I was so happy I had the automated immigration gate privilege. For re-entry, as I mentioned, the process is the same, with a small exception. I got confused when it didn’t make any audible or visual que as to what to do. I scanned my barcode a couple times thinking it didn’t register before I put my passport in to be scanned. Apparently it did scan my barcode just fine. I then proceeded to select “Special Re-entry” before doing the fingerprint and photo. They don’t have a countdown for the photo so I was waiting a bit trying to hold my eyes open wondering when it would finish. All in all, the automated gates are awesome. I am so happy that I did register for it and I don’t regret the 15 minutes I spent to do so. I saved a lot of time as I was able to get from the plane to the train in about 15 minutes rather than the usual 30 or so. It also helped that my bags came in the first group of regular bags. For foreign residents, I can’t recommend this system enough. 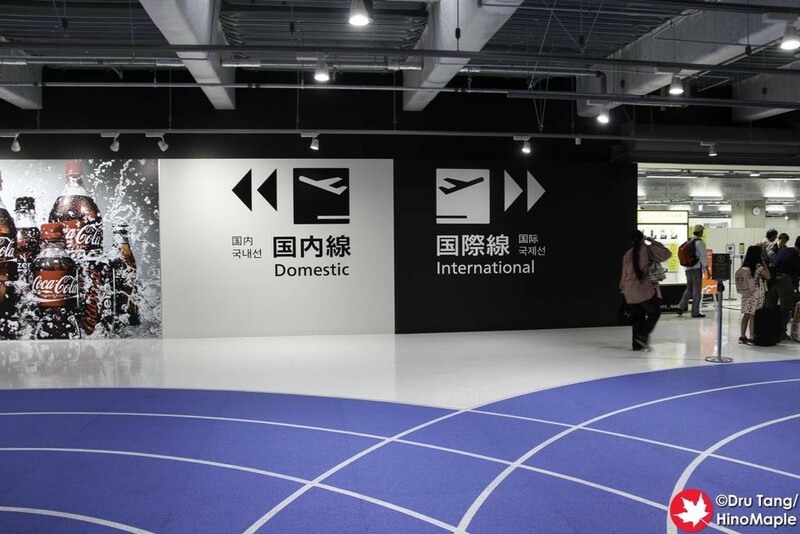 For Japanese nationals, it may not be a huge time saver, but it really depends on the time you depart and arrive. When I left, it didn’t save me any time; in fact it probably made it a bit slower as I had to learn how to use the system quickly. When returning, it did save me a lot of time, although I think the person behind me was a little impatient as I was figuring out how to use it for the first time. All in all, get it if you are a foreign resident of Japan, and if you are a Japanese national, if you travel a lot, it is probably worth it. 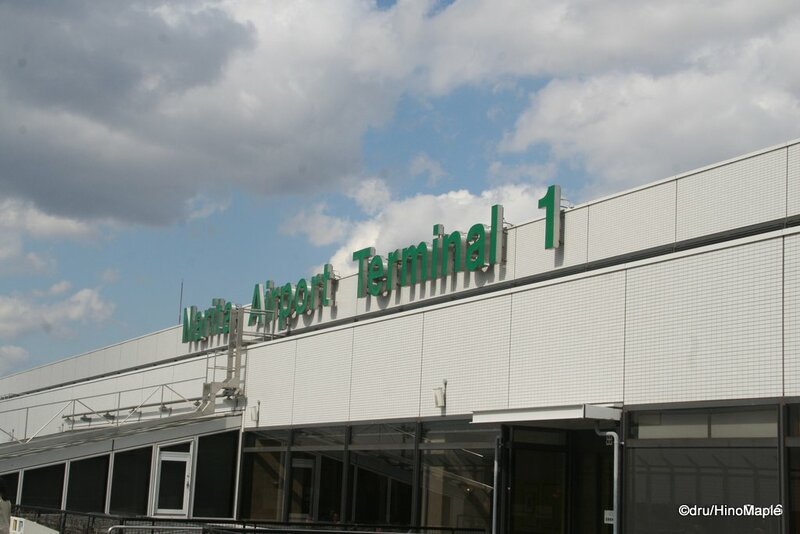 This entry was posted in Daily Life in Japan, Japan, Planes and tagged Airport, Automated Gate, Automated Immigration Gate, Haneda, Immigration, Immigration Kiosk, J-VIS, japan, Narita, passport by Dru. Bookmark the permalink.